Local Flower Shops in Bakersfield California. Find here a local Bakersfield, California florist or flower shops phone number, product information, delivery information and more. Order, buy and send flowers locally and save ! – Save 15% on flowers ! Same day delivery available with code AFLS17122. Offer valid through 12/31/2018. – Save $15 when you spend $60+ on Birthday flowers & gifts with code AFLS17121. Offer valid through 12/31/2018. Locally owned and family operated full service florist located in Downtown Bakersfield’s Arts District. Member BloomNation florist. Local florist in Bakersfield. Serves Bakersfield, Lamont, Kern City, Oildale, Rosedale, Pumpkin Center and Greenfield. Shop locally at Bakersfield’s local florist “Log Cabin Florist”. Fresh flowers, designed and delivered same day by a Real Florist. Serving Shafter, Buttonwillow, Oildale, Fruitvale, Rosedale, Arvin, Greenfield and Bakersfield. Local florist and flower shop in Bakersfield, CA. Offering same day flower arrangements delivery for birthdays, anniversary, new baby, sympathy or any occasion. Order online or in store and get delivery to your door. Delivery service covers throughout Bakersfield and surrounding areas. One of the best florist in Bakersfield, California. Stockdale Florist offers hand-arranged same day flower delivery in Bakersfield CA. Order online or in store and get delivered to your door. Delivery service covers only Bakersfield area. Cinderella Flowers & Gifts. Birthday Flowers in Bakersfield CA. Wedding flowers in Bakersfield CA. Shop flowers online or in store. Delivers same day / next day, local or U.S. delivery. 1-800-Flowers® in Bakersfield CA, one of the best florist Bakersfield. Serves Bakersfield, CA and Sheffield, CA. Buy online or in store. All Seasons Florist Bakersfield CA. One of the top local florist. Floral arrangements and gifts for Weddings, Parties, Birthdays, Funerals, Holidays or just any day – all the seasons. Order online for flower delivery. Teleflora member. One of the leading flower shops in Bakersfield, CA. Specializes in weddings and events flowers. Same day delivery available. Bakersfield CA Flower Shop. Provides all your floral and gift needs in Bakersfield, CA. Established in 1973, family owned florist & flower shop in Bakersfield, CA. Offering wedding flowers, funeral flowers, birthday flowers, Centerpieces, Christmas, New Born Baby flowers, sympathy flowers and general gifts etc. Stockdale Florist is a family owned business since 1973. A full service florist and same day flower delivery service in Bakersfield CA. Also a FTD florist in Bakersfield. 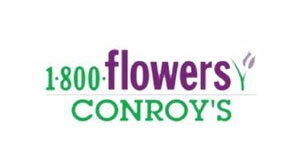 Popular local Bakersfield florist and online flower delivery service. Buy online or in-store flower arrangements for every occasion. Saturday (10 AM – 4 PM), Sunday (Closed). Flower shop, and online flower delivery service in Bakersfield CA. Local florist serving Bakersfield area. Buy flowers online or in-store and get on-time delivery (same-day / next day). Specialize in wedding flowers, sympathy and funeral flowers, birthday flowers, plants, gift baskets etc. Supplier of fresh cut wholesale flowers locally in Bakersfield, CA and drop ships flowers to florists all over the country. Sun : 8:00am – 2:00pm.